Best suited for: wrinkles, fine lines, scars, uneven skin texture and skin tone, stretch marks. 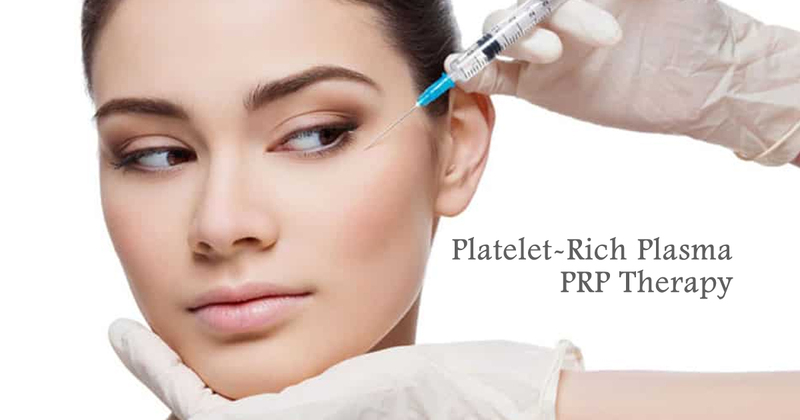 Platelet-rich plasma (PRP) therapy involves injection of the patient’s own platelets and fibrin for the cosmetic treatment of wrinkles or scars in the face, hands, and neck. It is less invasive than plastic surgery. The treatments takes a short period of time (about 20 minutes) and offers improvements for up to 18 months. This procedure uses the patient’s natural biology to address skin defects and volume loss, triggering production of new cells and collagen formation. Platelet-Rich Plasma, or PRP, is produced using the patient’s blood which is centrifuged to separate the blood components red and white blood cells from the platelets and plasma resulting in a clear fluid of plasma which contains a higher number of platelets. Platelets play an important role in the body’s rejuvenation process, helping tissue heal and grow new cells. They contain substances called ‘growth factors’ that activate and rejuvenate cells in our body. During the procedure, the PRP is injected into specific areas of the skin. It acts like a matrix that promotes your own collagen to grow, regenerates tissue, and thus acts to naturally smoothen and tighten the skin. Results are visible starting a few days after the procedure and last for several weeks as the skin continues to benefit from the increased collagen production. For best results, our doctors recommend a series of treatments about 4 to 8 weeks apart.